Care home costs vary across the UK. Our guides to care home fees and funding can help you understand what to expect. Care home costs in the UK can vary across geographical areas, and from care home to care home. Whether you are preparing to move into a care home, or simply beginning to research the costs of care homes in the UK, we can help. We’ve created a series of guides to help you understand the different types of care home costs you’ll need to consider. The guides also explain the level of care home funding which may be available to support your care needs, depending on your financial circumstances and where you live within the UK. If you’re also considering care at home, you may want to research home care package costs in the UK. Ready to learn more? Select the care home fees and funding guide best suited to where you live. This guide explains care home fees in England, and the different financial thresholds considered for care home funding. Learn how care home fees in England are broken down to cover accommodation, personal care and nursing care. Are you researching care home fees in Scotland? Discover how you can access council funding for free nursing and/or personal care. Learn whether your local authority may be able to contribute towards your care home accommodation costs. Generally speaking, you’ll be expected to self-fund the full amount of your residential care home costs in Wales if you have £40,000 or more in savings and assets. However, nursing care is provided free of charge throughout nursing care homes in Wales. Learn more about care home fees in Wales. If you have more than £23,250 in capital, you’ll be expected to self-fund the entire cost of your care in a residential or nursing care home in Northern Ireland. Learn more about care home fees in Northern Ireland. 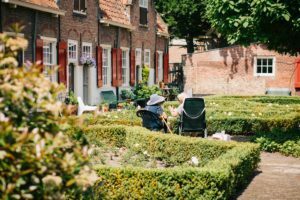 Regardless of where you live, care home costs are likely to be much higher for nursing care homes, where specialist nursing care is provided in a 24/7 environment, compared to residential care homes, which do not provide nursing care. If you are ready to compare care home providers, make sure you first book a care needs assessment. The care needs assessment will identify whether your care needs require specialist nursing support. Your local authority will support you in arranging a care needs assessment, which is provided free of charge.